It’s raining and your car skids unexpectedly. The passenger in the car you hit suffers a neck injury and lost earnings are significant. As your new television is delivered, the delivery man slips and falls on the steps of your home and breaks his leg. You volunteer on the board of directors for your condominium association. The board installs a playground with a faulty swing, and a fellow association member’s child is injured. A young guest unknowingly dives into the shallow end of your pool and suffers devastating paralysis. In a matter of seconds, a traumatic event sets the stage for costly, long-term litigation and medical bills. Excess liability insurance offers broad coverage to protect your assets when liability coverage through your auto, home, and other policies have reached their limits. Unfortunately, we live in an increasingly litigious society and legal disputes—whether frivolous or valid—are more prevalent than ever. New liabilities and exorbitant jury verdicts can run in the millions. Even minor damages, such as a fender bender, can end up being costly over time if a dispute necessitates legal fees. The liability coverage provided through your auto policy may not be enough. 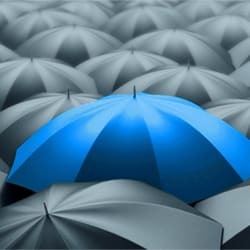 Often called an umbrella policy, excess liability insurance offers higher limits that you may need to cover damages for which you or someone in your household may be legally responsible. When the amount you must pay for a covered loss exceeds the limits of liability under your other individual insurance policies, an excess liability policy is triggered to provide more. Keep in mind that, in most states, there is no cap on legal expenses incurred for a covered loss, as such expenses are outside of the liability limit. How much excess liability insurance do you need? The amount of excess liability insurance that is right for you depends upon your personal financial situation. Lawsuits may evolve into much more costly disputes than originally anticipated. Your assets could be targeted if you don’t have adequate liability coverage for legal damages. To determine an appropriate limit, work with your agent or broker to review all of your assets, such as your house, other properties, cars, personal belongings and collections, retirement investments, and your children’s college funds. How extensive is the excess liability coverage? Property damage and bodily injury in the event you are liable for someone getting injured on your property. If someone slips and falls on your sidewalk, slips near your pool, or is injured by your pet, coverage would apply. Defense costs for a lawsuit—even if it’s groundless, false, or fraudulent—are included in the case of a covered excess liability loss. Depending on your carrier, legal counsel can be provided with coverage or all expenses incurred. In most states, there is no cap on legal expenses incurred for a covered loss, as such expenses are outside of the liability limit. Contact Brunswick Companies now and one of our experts will evaluate your existing policy or build a new program that’s right for your unique needs. For more information, call 800-686-8080 Michelle Hirsch today. Adapted from information provided by Chubb. Brunswick Companies is an independent insurance agency representing only A Rated carriers. We value our carriers’ investments in research and proudly share their market insights. * 2014 data from Insurance Research Council states that approximately 12.6% of drivers nationally are uninsured.